/ How do Gills Work? We often take our biological functions for granted without asking how or why they happen. Have you ever wondered, for example, why do we blink? Do you know why you feel a deep, intense pressure in your insides whenever you really get stressed over something? Usually, we have a vague explanation for how our body works and we leave it that. Things get REALLY obscure however, when it comes to our knowledge of animals that are fundamentally different from us. The mechanics of underwater breathing are a complete mystery for the vast majority of people. How do fish breathe? What exactly are gills? Do all sea creatures have them? How do gills work? This article will give you all the answers to these questions and more. 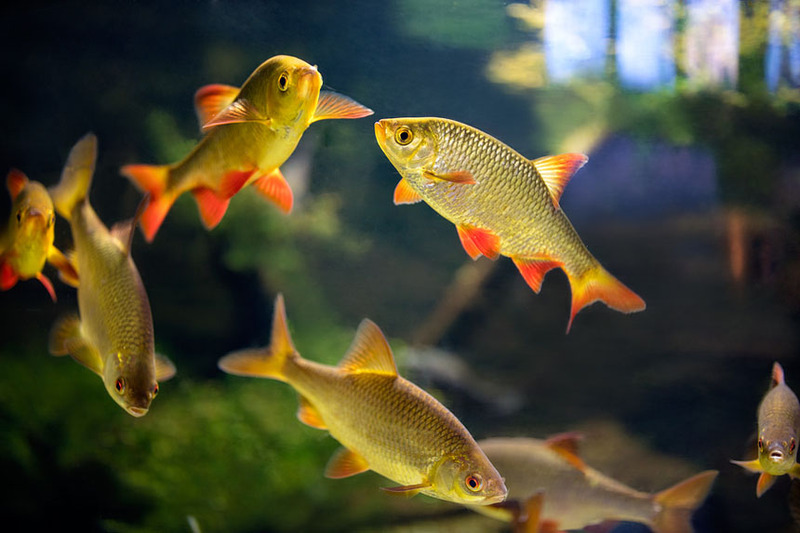 Like all living animals, fish require oxygen in order to survive. The difference between them and surface animals is that they have developed gills instead of lungs to breathe underwater. This is due to how aquatic respiration requires a gas exchange in order to function properly, that effectively enables fish to remove dissolved oxygen from water and utilize it to survive. Each gill is supported by an arch – a bony structure oriented vertically on the side of a fish, behind its head. These archs support a number of comb-like filaments, that extend out horizontally, and increase their surface area for oxygen exchange. For each gill filament, there is a number of branches called primary lamellae, which in turn branch out to secondary lamellae. It is these secondary lamellae that absorb the oxygen from the water and transport it inside a fish's body. 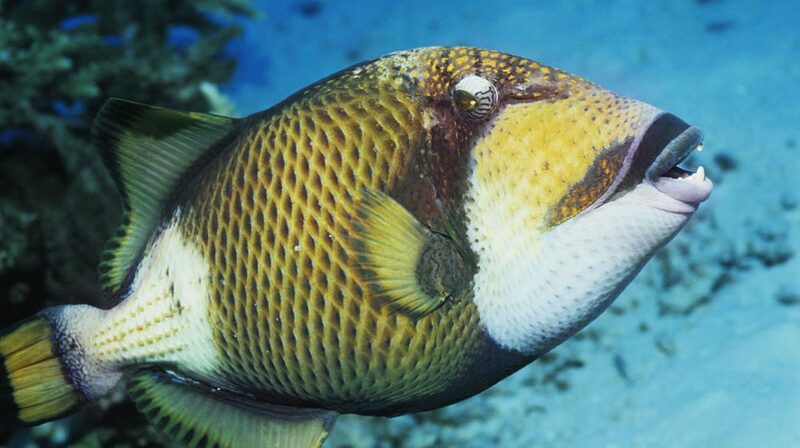 A gill, therefore, is an adapted organ that allows fish to extract the oxygen out of of the water they are swimming in. You will be surprised to learn that not all creatures that live in the seas have gills – as not all aquatic creatures are fish. As common as gills are in fishes and many other amphibious species, there's quite a number of species that lack them – for example, whales, dolphins and porpoises. The exact mechanism of fish gills is quite complex and seems to vary slightly among different fish species. Generally, it works as follows: The fish lowers the floor of its mouth, widening the outer skin flap that protects the gills in order to inrease the water rushing in. When the fish raises the floor of its mouth back up, a valve of sorts is formed to keep the water from rushing out. The water is then transfered to the gills. Then, the secondary lamellae of the gills extract the oxygen from the water while simultaneously releasing carbon dioxide out. The extracted oxygen then gets absorbed into the the fish's blood, which in turn gets pumped around the body by its heart. The whole process is facilitated due to how the secondary lamellae of fish gills have really thin walls that allow gas to be more easily absorbed into the blood stream. If these walls were any thicker, it would had been nigh impossible for fish to efficiently absorb oxygen from water. This is due to the much lower concetrations of dissolved oxygen inside water compared to those available in air. To put this into perspective, whereas ar is approximately 21% oxygen, or 210.000 parts per million, water only has 4 to 8 parts per million of dissolved oxygen available for the gills to extract. Naturally, underwater respiration has to be much, much more efficient in its oxygen absoprtion than the respective surface respiration process of lungs. Do all Sea Creatures have Gills? For the vast majority of fishes, survival without water is impossible: They can only stay alive for a few short minutes before dying due to lack of oxygen. On the flip side, however, aquatic mammals like whales, even though they spend most of their life underwater, are completely unable to breathe underwater and have to come to the surface in order to breathe. This is because like all mammals, they have lungs and nostrils. They actually inhale air through a blowhole they have. Do you remember the iconic water spout they produce? That is basically the equivalent of a whale exhaling. Since fish first appear in the fossil record earlier than tetrapods, it is logical to assume that modern fishes bear the exact traits that our common anscestors did. According to the available evidence, gills were indeed present in the very earliest of fishes. However, lungs also seem to have evolved very early on. So what happened? Research findings suggest that modern tetrapods used to have gills but lost them during the course of early evolution. In reverse, in many fish species, lungs evolved into the swimbladder – a gas filled organ that helps a fish control its buoyancy. Even more surprising, there exist some fish today that maintain their lungs – for example, the aptly called "Lungfish". So, to recap, fish, much like humans, do require oxygen in order to survive. Thanks to their aquatic respiration system, they are capable of extracting all the oxygen they need from water – and are incapable of doing so outside of it, the way we do. Central to their breathing system are their gills – the fishy equivalent of our lungs. Fish basically gulp in oxygenated water, forcing it through their gills and extracting all the available oxygen they can, before releasing the water and carbon dioxide back into the sea. Their heart then pumps the freshly oxygenated blood throughout their whole body. What is amazing about the gill based respiration system is how massively more efficient than our own it is. Extracting the oxygen out of the water is thousands of times harder than extracting it from air, as the available oxygen is spread in much lesser quantities. Next time your favorite pet fish drifts around your aquarium, gulping water in an out, you will now know exactly what it is that it's doing: Putting its gills to good use.